Britain and America are in trouble. There are few jobs left for natural born citizens. They’ve mostly been taken by foreigners. At least that’s what politicians like Boris Johnson and Donald Trump keep telling us. But when were these good old days? And what was it really like back then? The Fabulous 1950s: When America was 100% Mexican-free! 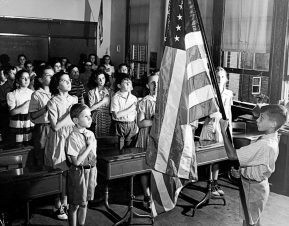 America in the 1950s was just the greatest, before the Mexicans started coming over and ruining everything. Sure there were occasional outbreaks of polio, but a vaccine for that disease was created by Jonas Salk, a great American from a great time. Okay, maybe Jonas Salk was the child of immigrants, but he was not an immigrant himself, and he definitely wasn’t Mexican. Apart from all the polio, the war with Korea and the threat of nuclear annihilation from the cold war, America really was terrific back then in the 50s. 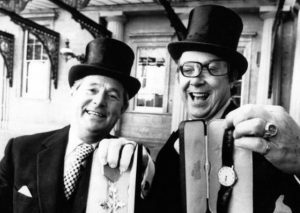 First class all the way – everyone had loads of money. People doing modest jobs could afford houses in leafy suburbs, far away from any Mexicans. Buying power was high and inflation was low. Everyone had jobs. Yes, taxes were much, much higher for the wealthiest Americans back then, banks were far more regulated, and union membership much much higher, but that had nothing to do with the prosperity of the American middle class! Nothing at all! It was the lack of Mexicans. Back then if a good, non-Mexican American wanted a glamorous career as a seasonal farm labourer, they could get one easy. Not like today, where they have to compete for all those fruit-picking jobs with Jose from Juarez! In the good old days of the 50s, if you were Mexican, you you kept a low profile, or you stayed in Mexico. And they weren’t the only ones who knew their place back then. Women stayed in the kitchen – where they belonged. Abortions stayed in the back alleys, where they could be performed quicker and cheaper than in any fancy-pants clinic. And don’t even get me started on the gays and communists! 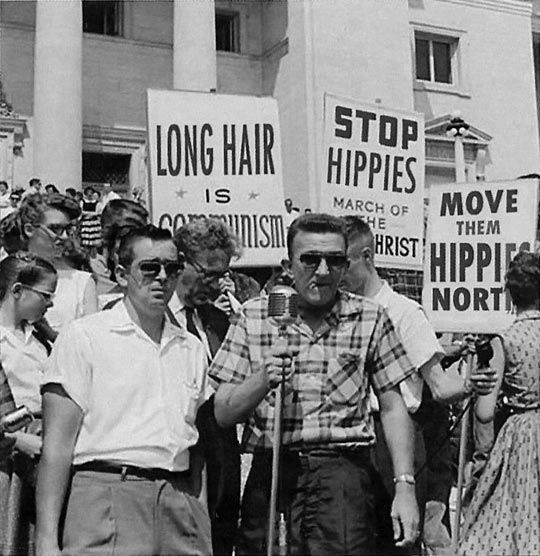 Back in the good old 1950s, those people either had the common sense to pretend to be straight and non-communist, or we’d straighten them out with a baseball bat or maybe with a good old-fashioned government investigation. 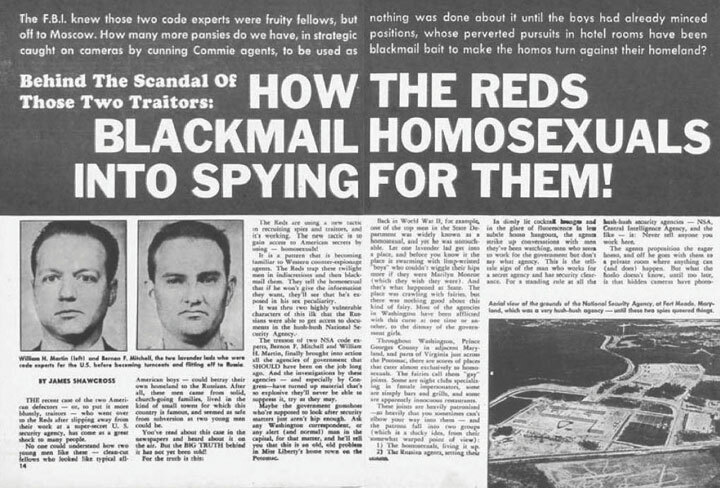 That’s because back then, we had heroic, anti-gay, anti-foreigner and anti-communist leaders like Joseph McCarthy and his counsel/protege Roy Cohn. 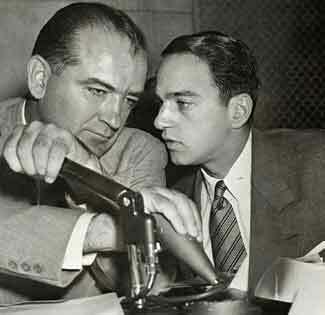 Roy Cohn, for example, was a great American from that great time in America’s history. Mr Cohn was a real American, of the type we need to bring back. He went on to a great, terrific career of mafia associations, influence-peddling, gay-baiting and – mentoring Donald Trump- who later on in the 1970s and 1980s considered him to be one of his closest friends. You see how great, terrific Americans used to inspire each other back in the good old, pre-Mexican days? 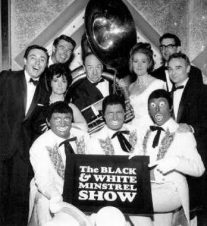 Those were the days of America’s real greatness, that Donald Trump wants to bring back. The great, great 1950s. Back when we didn’t even need walls to keep Mexicans, black folks, women, gays and people who think differently in line. Good times. Vote Republican if you miss those days like I do! It’s even easier to pinpoint when the good old days ended for Britain. 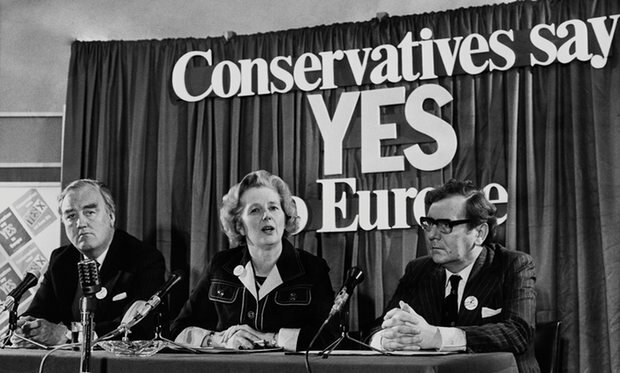 It was exactly 1975 – which was the year Britain last held a national referendum on the EU. It was a golden, groovy time. The best in this country’s history. The apex. Before EU membership, the UK was a veritable paradise. You could see the prosperity on every street in the country, provided uncollected piles of rubbish didn’t block your view, or the road wasn’t completely dark due to one of the frequent power outages. But when you could see things, all you saw was happiness. Okay, maybe not in Northern Ireland, where the Troubles were in full swing and there was a smidgeon of sectarian violence to be dealt with now and then. But shoot to kill policies kept that lot in their place better than any EU-brokered Good Friday Agreements. And yes, there was record inflation and unemployment throughout the country, but at least those unemployed people queueing up for the dole were proper British, and not Mediterraneans. 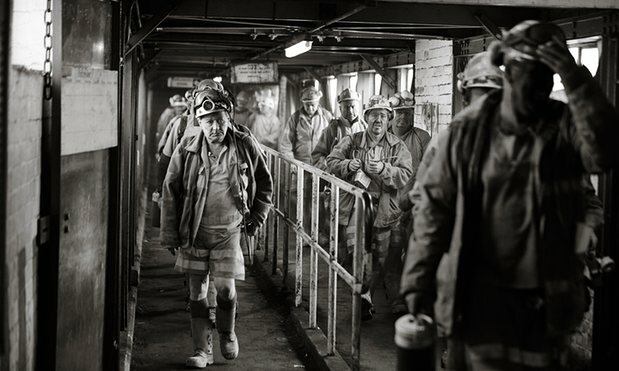 In 1975 London – the city’s then-huge financial services sector was awash with the vast, inexhaustible wealth of northern English coal-mining communities. The banks then invested all that capital in great British products such as Morris automobiles, which were the envy of the world. And whether you were a coal-miner, on the dole, a soldier serving in Northern Ireland, or in a glam-rock band (pretty much the only employment options at the time) you lived, so, so much better back in 1975, before European trade changed everything for the worse. 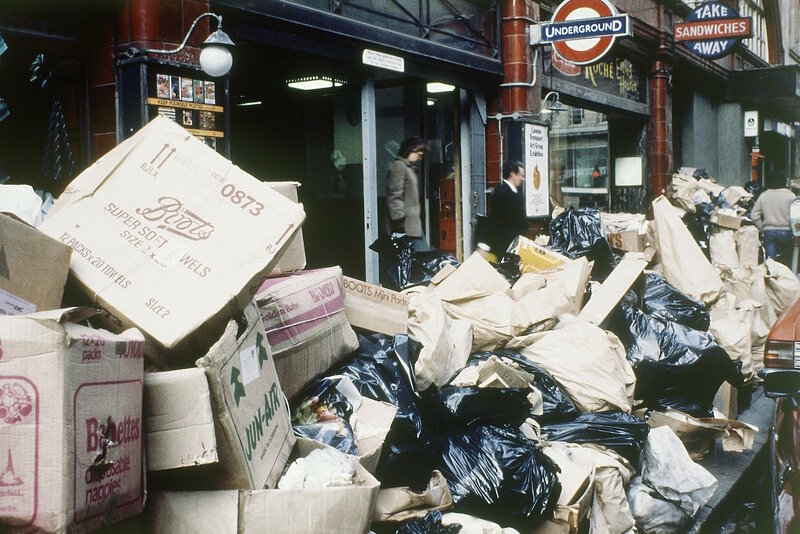 Back in the 1975, Britain was a self-sustaining island. If you did have enough money to eat, you’d eat British food, prepared in a British way. And it was just empirically better. Most food came in convenient tins, except on Sunday, where you’d have access to a glorious meal of meat and two veg. Nothing wrong with boiled veg – definitely better than all this European quinoa rubbish! And by the way, British people in 1975 made the best pizzas on earth – a variation of tomato ketchup on white bread that was called Italian rarebit – to keep it British! And it wasn’t just the food- beverages were better in the good old days too. Ale, bitter, tea, or Blue Nun wine. None of this Belgian lager or fancy, fresh-brewed coffee you have nowadays thanks to all them poncey Europeans. Everyone knows coffee is better when it’s made from freeze-dried crystals, just waiting to be activated via a generous splash of British boiled water. Delicious! Best of all, Brits had their own home-grown football in 1975. British football clubs featured British football players who plodded along, slowly and beautifully around the pitch as footballers should. None of these annoying Spaniards or Frenchies, with their fancy passing and their “look-at-me, I know how to make a penalty kick” nonsense. Back then, you played football with your elbows as much as your feet. A good fight never hurt anyone, on the pitch, or off. 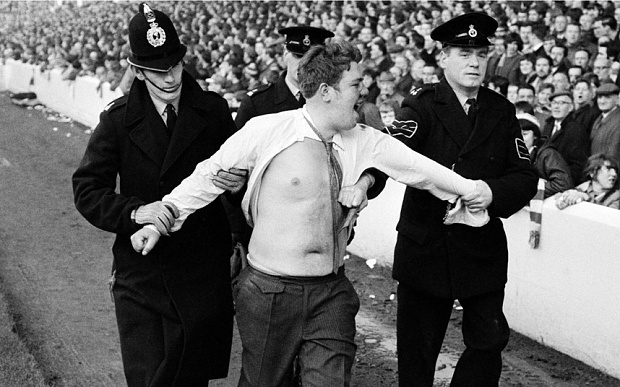 Okay, well some people did get hurt and killed in regular incidents of hooliganism, but at least it was British football fans stomping fellow British fans on the head with their British-made Doc Martin boots. The way God meant it to be. Nowadays, some punters even bring children to football matches, like it was some kind of family-friendly continental entertainment event. Cor blimey, we’ve really lost ourselves. We don’t need a wall in Britain to get back to the good old days – we’ve got an English channel. All we have to do is pull up the drawbridge and retreat back to the glorious era of 1975. When going on holiday meant a car trip to a Butlins, not an EasyJet flight to Barcelona. Back when university was rightly reserved exclusively for the upper classes. The only drawback to that perfect time at all was that we had cowardly, lightweight politicians like Margaret Thatcher on the right and Harold Wilson on the left, both of whom at the time advocated for Britain to join the filthy foreigners of the EU. But thankfully, today, we have far-sighted political titans like Boris Johnson and Nigel Farage who are trying to fix that mess – real leaders who have the courage to end the failed experiment of European integration and return us to a simpler, but unquestionably better time. 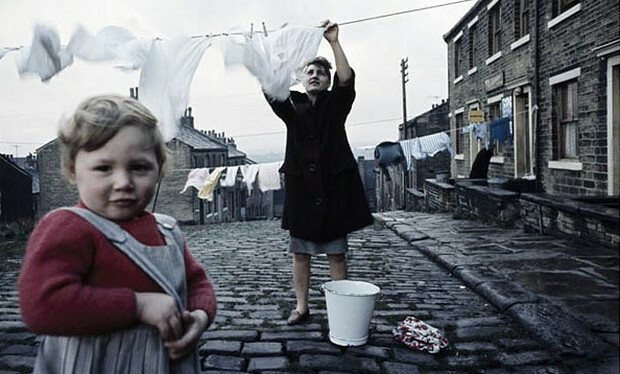 So I urge you to vote “YES” to leaving the EU this June, and vote Republican in American elections, and enable Britain and America to go back to the good old days – when things were just brilliant for everyone. Before foreigners ruined everything. Muchas Gracias. I mean, thank you. Please Google “satire.” You do know what Google is, right? Well speaking of the Good old days when the women back then really Did put the women of today to Real Shame.